We are so fortunate here at Belvedere Designs to have such talented customers who display our Wall Quotes™ decals in creative and beautiful ways. Today, we're sharing some of our favorite customer photos from the past month. Hope these images inspire you as much as they inspire us! 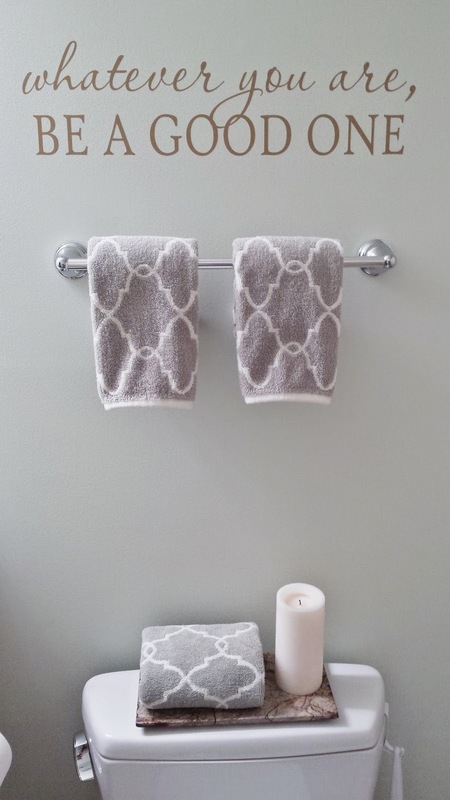 Sharon sent in a photo of her bathroom, where she has our "whatever you are, be a good one" decal displayed. You can find a version of it here on our site, or head to our Design Center to create your own custom design, choosing your color, size and fonts! Thanks for sending it in, Sharon! Cindy sent us a picture of her "Adventure Wall" and we just love how full of meaning and sentiment this wall is. 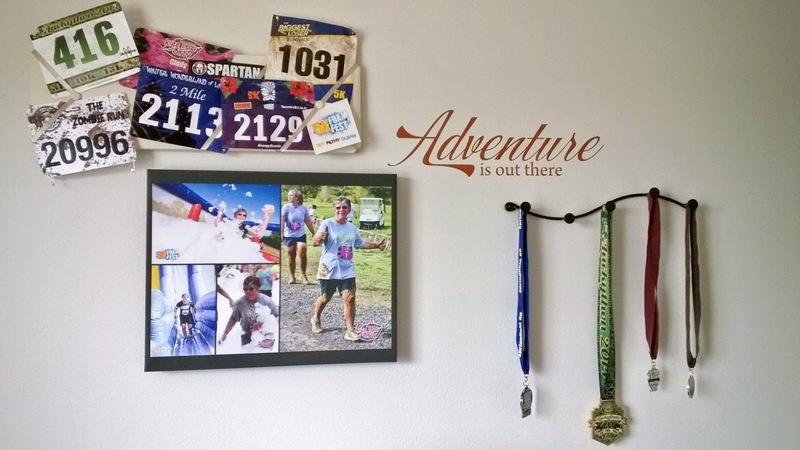 She used our "Adventure is out there" Wall Quotes™ decal and we think it fits the mood of her gallery wall perfectly! 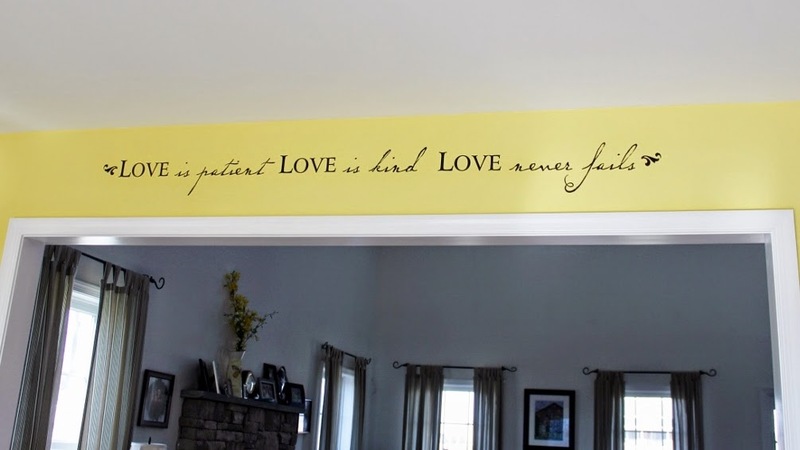 Our "Love is patient, love is kind, love never fails" Wall Quotes™ decal looks amazing against the fun yellow wall in Amy's home. What a wonderful reminder each and every day! Thank you so much, ladies, for sharing your photos with us! Remember, keep sending them in, we choose a winner at the end of each month to win a $50 gift certificate!